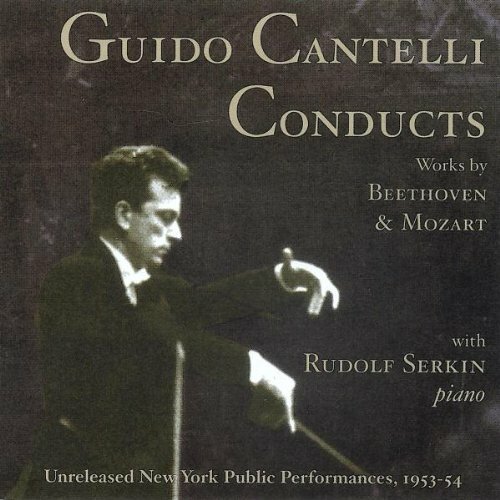 2 CD set of Live Performances with the New York Philharmonic-Symphony Orchestra; pianist Rudolf Serkin performs Mozart's Cto #20 and Beethoven's Cti #'s 1 and 5 with conductor Guido Cantelli. The program also includes Beethoven Sym #7 and Ghedini's orchestration of Gabrielli's La Battaglia. If you have any questions about this product by MUSIC AND ARTS, contact us by completing and submitting the form below. If you are looking for a specif part number, please include it with your message.